"Josef Albers' methods, direct and systematic, were positive and constructive, and his human and personal attitude to everybody contributed immensely to the working mood and spirit. 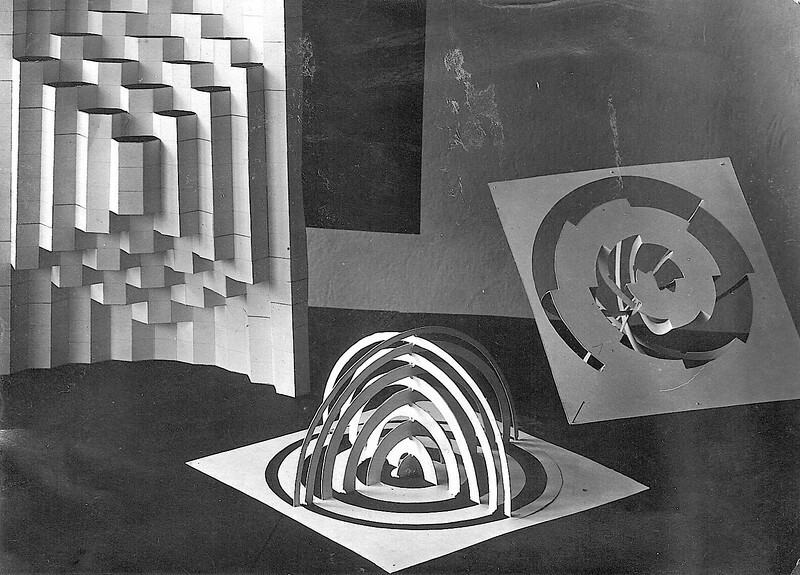 Albers, knowing my past and future dreams about building, tried all the time to influence me to work in various materials on the problem of developing a three-dimensional object out of a two-dimensional surface of paper or metal. The results were space structures, three-dimensional, transparent, of different geometrical shapes - round, square, triangular."